way to dispel this as the only explanation. in a reduction of the risk estimate to two-fold). self report), or to clinically defined Antisocial Personality Disorder. IRB at MGH approved this study. were 5 to 37 (mean 13.5) and 6 to 29 (mean 13.3) for the Boys and Girls studies, respectively. association, temporal ordering, a dose-response relationship, and biological plausibility, whereas cigarettes contain a large number of chemicals, each of which may impact on fetal development. Nicotine exposure during gestation at low doses (0.75 or 1.5 mg/kg/d) significantly increased mRNA levels and density of neurons that express ENK in the hypothalamic paraventricular nucleus and central nucleus of the amygdala, OREXIN, and another orexigenic peptide, melanin-concentrating hormone, in the perifornical lateral hypothalamus in preweanling offspring. These effects persisted in the absence of nicotine, at least until puberty. During adolescence, offspring also exhibited significant behavioral changes, increased consumption of nicotine and other substances of abuse, ethanol and a fat-rich diet, with no changes in chow and water intake or body weight. These findings reveal a marked sensitivity during gestation of the orexigenic peptide neurons to low nicotine doses that may increase the offspring's propensity to overconsume substances of abuse during adolescence. Evidence from animal models suggests that the cognitive deficits may be a consequence of in utero nicotineexposure in the brain during critical developmental periods. However, maternal smoking exposes the fetus to not only nicotine but also a hypoxic intrauterine environment. 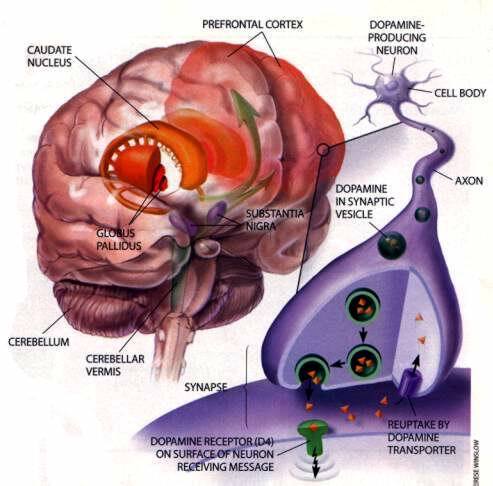 Thus, both nicotine and hypoxia are capable of initiating cellular cascades, leading to long-term changes in synaptic patterning that have the potential to affect cognitive functions. This study investigates the combined effect of in utero exposure to nicotine and hypoxia on neuronal and glial elements in the hippocampal CA1 field. Fetal guinea pigs were exposed in utero to normoxic or hypoxic conditions in the presence or absence of nicotine. Hypoxia increased the protein levels of matrix metalloproteinase-9 (MMP-9) and synaptophysin and decreased the neural density as measured by NeuN immunoreactivity (ir). Nicotine exposure had no effect on these neuronal parameters but dramatically increased the density of astrocytes immunopositive for glial fibrillary acidic protein (GFAP). Further investigation into the effects of in utero nicotine exposure revealed that both GFAP-ir and NeuN-ir in the CA1 field were significantly reduced in adulthood. Roy TS, Sabherwal U. Effects of gestational nicotine exposure on hippocampal morphology. relationship, with a linear relationship between the extent of smoking in pregnancy and severity of problem outcomes in offspring. above) allow for clearer manipulation and control. in both dopamine and serotonin turnover in the brains of rats. seems more likely. Mechanisms underlying other behavioural outcomes are less certain. Our data suggest that prenatal exposure to nicotine and hypoxia not only alters synaptic patterning acutely during fetal development, but that nicotine also has long-term consequences that are observed well into adulthood. Moreover, these effects most likely take place through distinct mechanisms. These findings suggest that prenatal nicotine exposure can be responsible for a number of changes to the structure and functioning of the brain of the developing fetus, and ultimately the live progeny. Each of these effects may impact, either additively or even interactively, on the psychological development of exposed offspring, although not all such effects will necessarily contribute to problematic development. Stop smoking during pregnancy!